For this post, I have put together a collection of the best financial calculators currently available. Whether you are a financial professional or a student with an important exam coming up, these calculators won’t let you down. 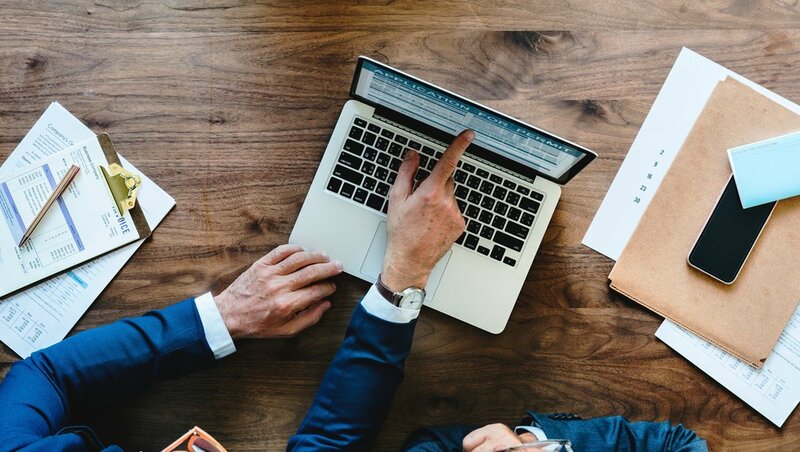 The following financial calculators use the latest innovative components to meet your needs and help to ensure you do your best work. So here is my list of The 10 Best Financial Calculators. HP 12c Platinum is a faster, enhanced version of the industry-leading 12c calculator designed for the financial professional who demands more. Offers both RPN and Algebraic modes of entry. Keystroke programming with four times more memory for up to 400 steps. Advanced editing features like the new "Undo" and "Backspace" buttons. Six times faster speeds for calculating TVM, loan payments, interest rates, standard deviation and more. Memory for up to 80 cash flows. Designed for real estate and mortgage professionals, the Real Estate Master IIIX performs most post-qualifying real estate calculations. Calculate complete payment solutions, amortization, combo loans, ARMs, rent versus buy comparisons, and more. Features include bi-weekly and monthly loan comparisons, automatic sales price and down payment calculations, and completion of taxes, insurance, and mortgage insurance for true PITI payments. Calculate mortgage payments, terms, interest, PITI payments, future value, as well as purchase price, and down payment figures. Permanently store local property tax and property insurance rates for customized calculations. Performs "what-if" calculations from variables like purchase price, down payment amount, and loan amount financing. Offers a built-in date-math function for closing and expiration dates, triple zero key that saves time and keystrokes. A pocket user guide stores conveniently inside the back of the unit in a prefitted slot. 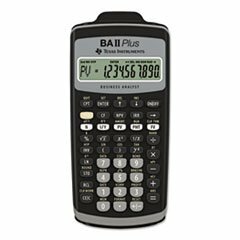 The Texas Instruments BA ll Plus Calculator can handle over 250 functions, like cash-flow analysis and advanced list-based statistics. Features different-colored keys that make finding functions hassle free. Worksheet mode includes tables for bond, depreciation, amortization and compound interest. Built-in memory to store previous worksheets. Hard, slide case protects the screen. Includes a quick guide manual. 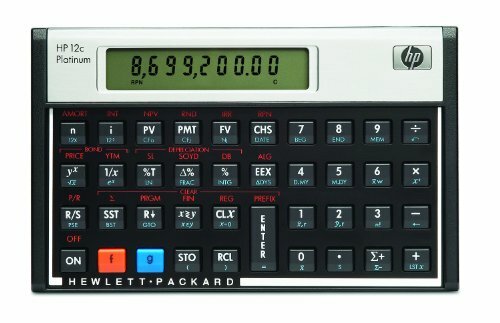 The fast and powerful HP 10bll+ makes it easy to solve business, financial, statistical, and math calculations accurately and quickly. 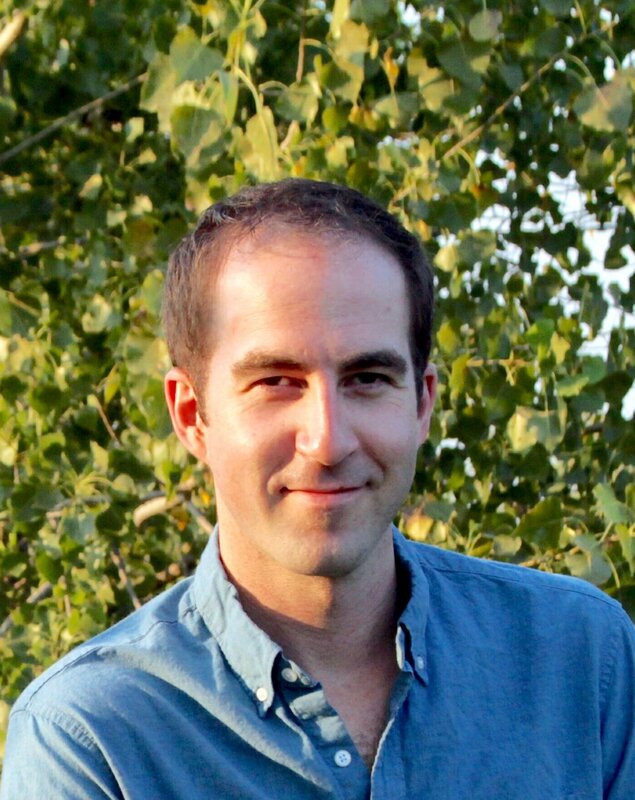 Dedicated keys provide fast access to common financial and statistical functions. Designed with powerful finance, business and statistical operations. Meets exam requirements for SAT, PSAT/NMSQT, and College Board AP (Advanced Placement) Tests. 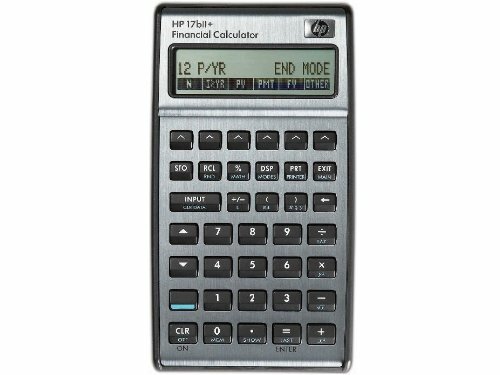 The HP 17bII+ financial calculator is both powerful and easy-to-use. Quickly calculate loan payments, interest rates and conversions, standard deviation, percent, TVM, NPV, IRR, cash flows, bonds and more. 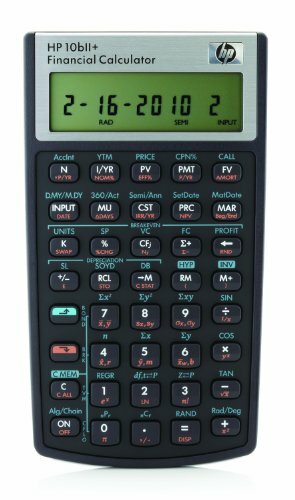 Features 28KB of user memory, over 250 functions, RPN and Algebraic data entry, clock, appointments, calendar, HP solve application, menu prompts and messages. One line x 10-character LCD display. Mix of statistic, business and math functions. Read display results easily, even at an angle. Permitted for use on the CFP Certification Exam. 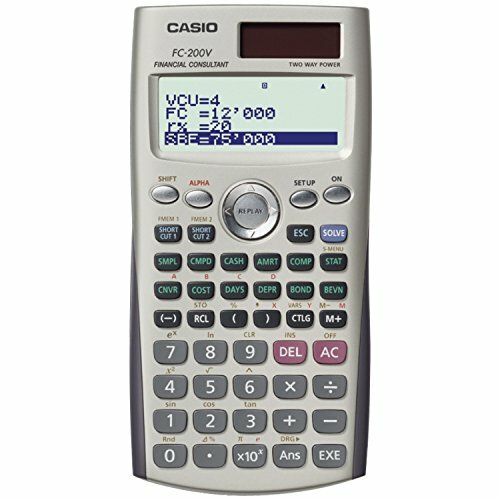 The Casio FC-200V Financial Calculator features built-in Direct Mode Keys so you can swiftly enter into exclusive modes when executing each financial calculation. Incorporates a full-dot 4-line display allowing easy input, confirmation, change and correction of each parameter. Convenient 3-digit, comma-markers display function. Depreciation can be calculated by the straight-line method, fixed percentage method, sum-of-the-year's digits method or declining balance method. Bond purchase price and annual rate of yield can be calculated by Date input/Period input. Sales and leverage within the break-even point can be calculated. 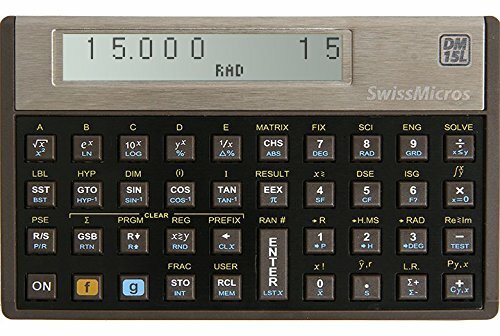 The SwissMicros DM15L Financial Calculator is a clone of the HP-15C which was discontinued in 1989. Features a sandblasted Grade 1 Titanium housing. Able to handle complex numbers and matrix operations. 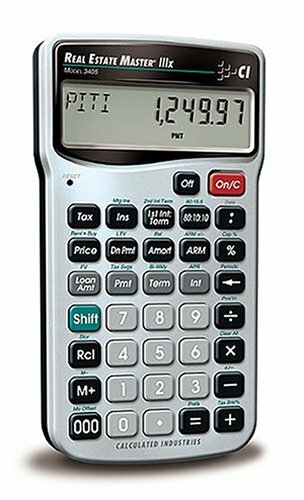 The Sharp EL-738FB is a fully featured non-programmable financial calculator with a 2 line dot matrix LCD display, which provides comprehensive business solutions, advanced financial functions, extensive statistical and scientific functions, as well as Day/Date calculations. 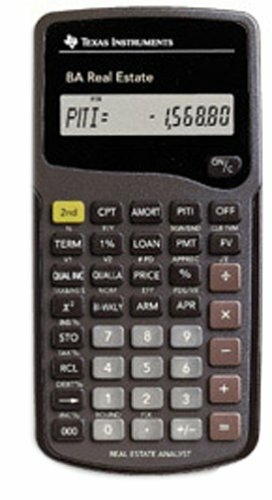 The Sharp 10-Digit Financial Calculator features a 2-Line LCD display with large 9 mm display digits. Able to perform all time-value-of-money calculations, depreciation calculation, amortization calculations, breakeven calculations. Performs profit and percent difference calculations, bond calculations, cash flow analysis, net present value and internal rate of return calculations, interest rate conversions, and much more. Comes with a protective hard cover and is battery-operated. 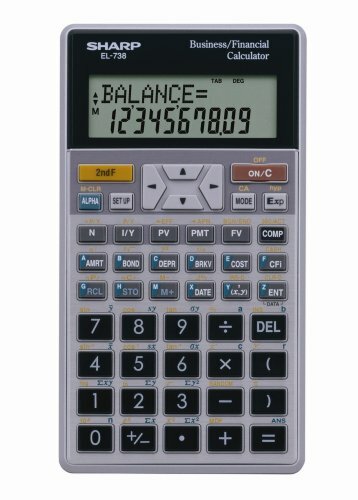 The Texas Instruments BA Financial Calculator is ideal for applications in finance, accounting, economics, investments and statistics. 10 display didgets x 1 display line. 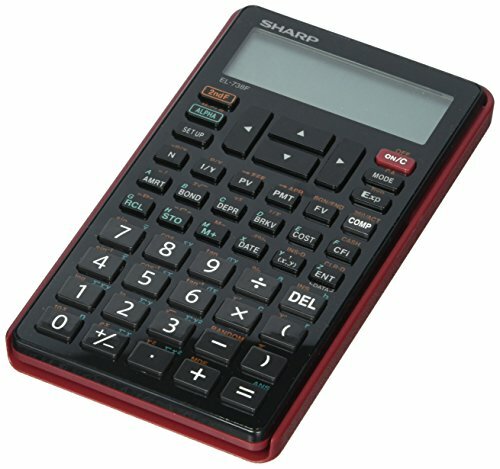 I hope this list of the best financial calculators was helpful.